Our manufacturing facility is located in the city of Hefei, China, about 5 hours drive from Shanghai. The city neighbors such provinces as JiangSu, ZheJiang, and ShangDong, currently the most developed areas in China. Hefei is also one of the green cities in China, and ranks the fifth in educational and technological advancements. The company that operates the facility, Hengli Eletek Co., Ltd., was established in 1992, and has since become the best local supplier of many types of industrial furnaces. The company has 25 plus engineers and has the constant technological support from the parent company, East China Micro-Electronic Research Institute, a national research institute with 10 state-of-the-art labs and 40% of its employees engineers. 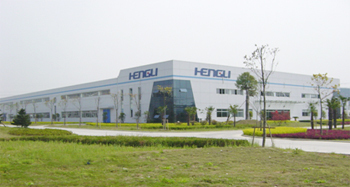 With the mission of becoming the leading provider of thermal processing solutions to Chinese and global electronic and material markets, HengLi now offers products and services to a diverse range of markets such as microelectronic packaging market, which includes IC, SMT, HIC, MCM and MEMS applications, as well as advanced materials market, which includes thick film, electronic component, photovoltaic cell, ceramic and metal processing applications. In addition, the company manufactures surface treatment facility for electronic and military market and customized systems for specific customer applications. The company's manufacturing facility is composed of an office center, two production plants, an assembly plant, and a small forge plant. The plants are installed with approximately 50 units of machines, including 6 grinding machines, 6 planning machines, one thread cutting machine, and one boring machine. Up till now, the company has setup more than 800 units of heat treating equipment for electronic and material applications.